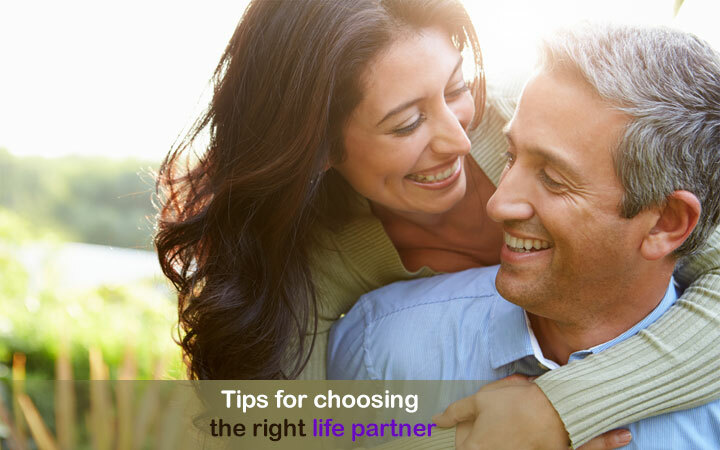 Choosing the right life partner is an important decision in life. It is the foundation of a happy life ahead. All of us want to be loved and cared. Everyone, should get married at the right time in their life. It’s a beautiful and comforting feeling having someone by your side in all stages of your life. Select your life partner wisely. Find someone to whom you are attracted to in the first place. Don’t go on looks only,when choosing the potential life partner. You should consider other aspects as well, such as personality. Make sure the person is compatible with you. Otherwise, attraction based on looks will not be enough to have a good lasting relationship. Look for qualities that will build a strong base for your relationship. Qualities that will make a good potential life partner are: Honesty, good character, caring & kind, reliable, generous, trustworthy and an understanding person. Things like life of the party, dancing skills or a funny person are nice to have but not important for a happy married life. Find someone you feel comfortable with. Stay away from judgmental person. If you are an ambitious and an over achiever and your potential life partner is just content, the way things are your relationship will have problems. As far, as interests choose someone with whom you have common interests. If you differ on some interests that is fine, it’s good to have few interests which are different. It makes the relationship exciting and interesting. Spend time together and learn about your potential life partner. It is not that difficult, enjoy and have fun while doing it. After a couple of meetings, you will find out if this is the right life partner for you. If not, move on search again but don’t take years otherwise you may miss the boat. « What Is Important Grand Wedding Or Married Life?